Get inspired for your big day with bridal workshops and fashion shows, and stand a chance to win your dream honeymoon. From banquets and attire, to the smallest details like desserts and soundtracks, a wedding is perhaps one of the most difficult things to plan. InterContinental Hong Kong, one of the most prominent luxury hotels in town, will be hosting a Luxury Wedding Showcase on September 23 to ease your stress. Featuring more than 35 of the city’s top wedding specialists, couples can get the lowdown on the latest bridal trends and then let the experts handle the rest. In the hotel’s Presidential Suite, one of Asia’s most spectacular complete with a sweeping harbour view on its terrace and rooftop infinity pool, couples can be a guest at a mock wedding ceremony to experience the possible intimate moments they can have at the venue. Finding the perfect bridal gown will become less difficult with the arsenal of couture bridal vendors present, as well as a fashion showcase to help you see each gown in motion and in the spotlight. Browse through designer labels homegrown and from abroad with Trinity Bridal and Central Weddings, or maybe even get something custom-made with the famed Barney Cheng Couture. Not just for the brides, the event will feature vendors from all aspects, including tuxedos, cakes, Chinese tea ceremony, civil celebrant, décor, production and more, to make sure everything will look its best on the big day. Brides can also enjoy intimate workshops to get inspired for the big day. Luxury skincare brand Guerlain will prepare a skincare routine to help you achieve a glowing complexion, while boutique creative fragrance studio Artisenses leads a lesson on the art of perfume and personal scent. To get you inspired about your favors, there will be hands-on craft sessions with The Silver Lining to inscribe calligraphy on natural agate slates, and with Thistle Candle to create some beautiful handmade flower candles. 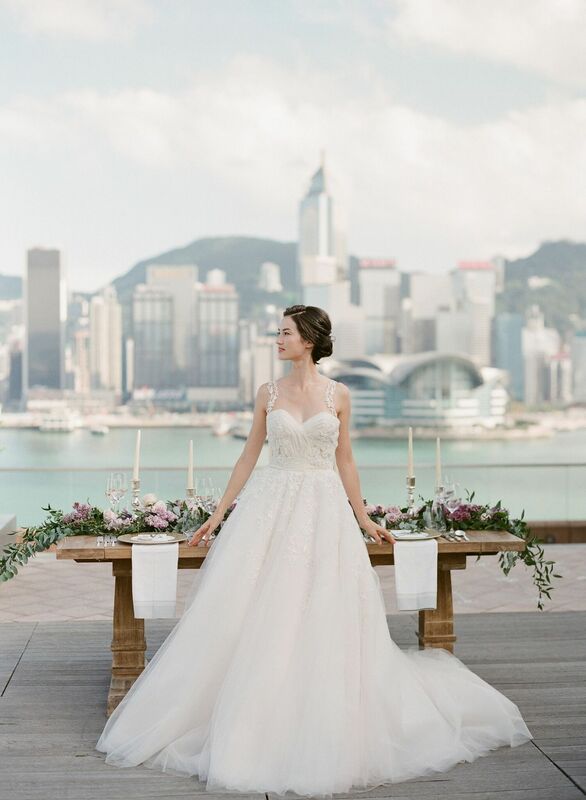 If you’d like to take the stressful planning out of your life, InterContinental Hong Kong’s team of professional wedding planners will also be there to help you realise your dream wedding. Confirm your wedding at the showcase, and you can enjoy a myriad of benefits, including 5% savings, complimentary upgraded beverage package, and HK$10,000 in venue decoration. What's more, the first few couples to book on the day may enjoy a 4-night stay at InterContinental Osaka, as well as complimentary LED Wall Package, wedding ceremony and a stay in a signature suite. If you are a HKT The Club member, you may earn up to 20,000 Club points upon eligible banquet confirmation. Don’t forget to sign up for the giveaway to win one of three fabulous honeymoon trips to InterContinental hotels in New York, Bora Bora, or Danang. Just complete an entry form at the event to enter. The InterContinental Hong Kong Luxury Wedding Showcase takes place on Sunday, September 23, 2018 from 12pm to 6:30pm. Register here.